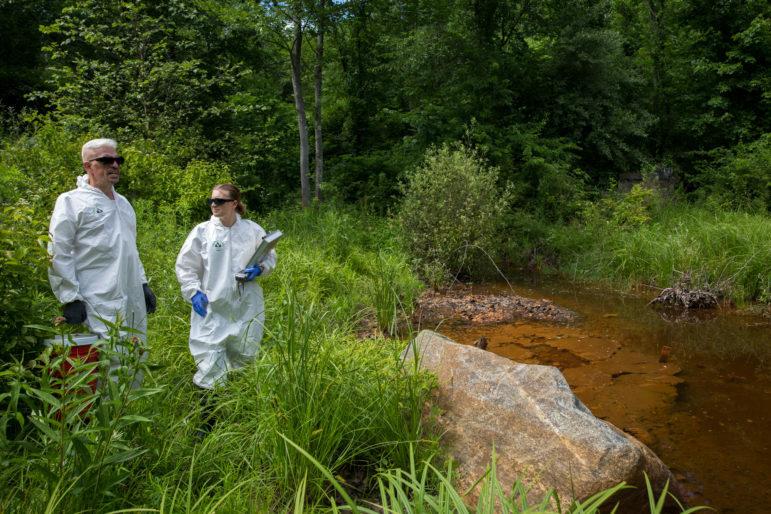 PHOENIX – In Ringwood, New Jersey, Ford Motor Co. dumped more than 35,000 tons of toxic paint sludge onto lands occupied for centuries by the Turtle Clan of the Ramapough Lenape tribe, poisoning groundwater with arsenic, lead and other harmful chemicals. Today, more than 43 years after the dumping ended, those toxins are still in the groundwater and threaten a reservoir providing drinking water to millions of residents of New Jersey. In Picher, Oklahoma, decades of lead and zinc mining left residents with an aquifer contaminated with lead and heavy metals. The flow of polluted mine water into streams, lakes and a large groundwater aquifer still poses a threat to drinking water for nearby communities nearly 60 years after mining stopped. Read News21’s complete “Troubled Water” project. In North Carolina, the state has told residents living near coal-fired power plants their water contains elevated levels of chromium-6 and other chemicals. While environmentalists, state government and utilities investigate the source of contamination, nearly 1,000 households rely on bottled water for drinking, cooking and brushing their teeth. While manufacturing, mining and waste disposal companies — and dozens of others — provide millions of jobs, products and services to Americans, these industries are also among the country’s worst water polluters, based on a News21 analysis of the Environmental Protection Agency’s Toxics Release Inventory, Discharge Monitoring Reports and Superfund data. Hundreds of these companies have been contaminating drinking water throughout the country for decades with everything from arsenic and lead, to mercury and chromium – most coming from improper dumping and waste disposal, according to EPA data. For example, Anaconda Aluminum in Montana produced manufacturing wastes that contaminated local water sources with lead and chromium, Gulf States Utilities in Louisiana discharged toxins into marshlands polluting waters with benzene and other chemicals, and the Conklin Dumps in New York leaked volatile organic chemicals into groundwater. The EPA regulates 94 chemicals in drinking water sources but doesn’t set standards for many others that could potentially be dangerous. A News21 analysis of EPA data shows that the drinking water of more than 244 million people contains contaminants that can be linked back to industrial practices and are not currently regulated. It can take years, sometimes decades, to clean chemicals from polluted water, EPA records show. Picher, Okla., reached its largest population in 1926 during the height of mining activity. Since then, almost everyone has moved out. Mining and smelting operations are responsible for contaminating water with heavy metals in almost every state in the nation. 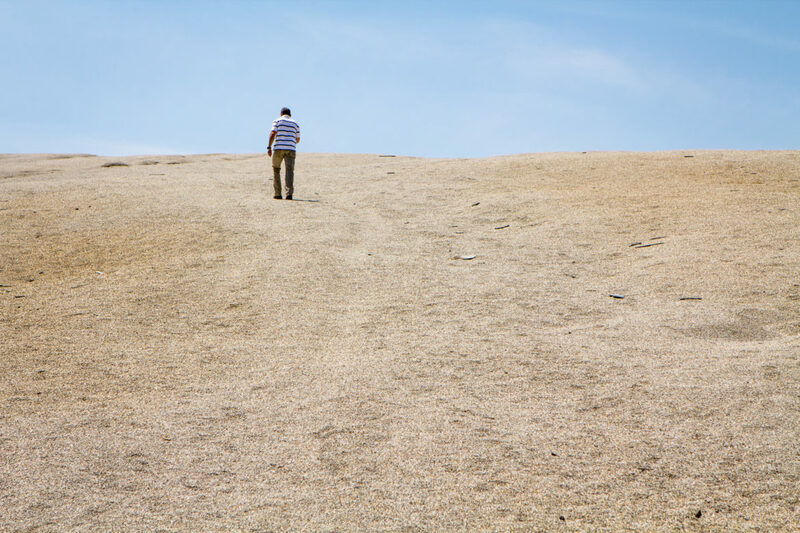 In northeast Oklahoma, where mountains of mining waste mark the landscape, the Tar Creek area near Picher is among the most contaminated places in the country. 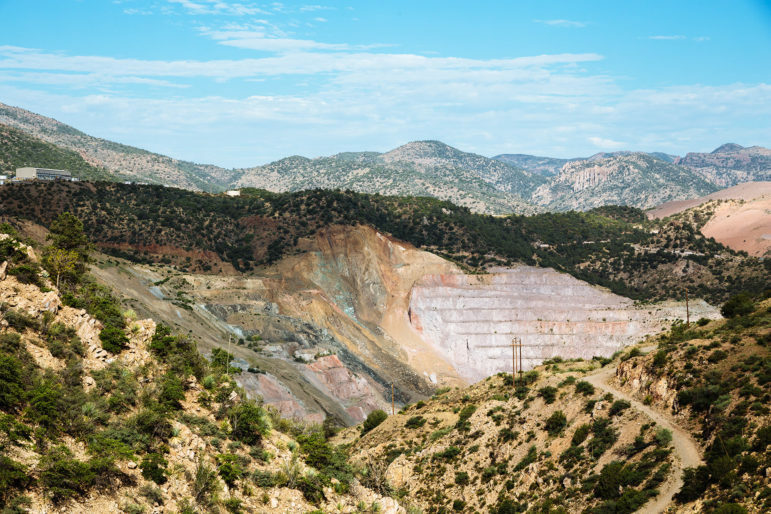 Decades of lead and zinc mining left a 40-square-mile area littered with piles of chat, mining remnants contaminated with lead and other heavy metals. When the mines shut down in the 1970s, the effects of the pollution were so devastating that residents of four towns had to be relocated. Water from a shallow aquifer began to run red with contaminants, first into a small waterway called Tar Creek and then out into surrounding streams and lakes that provide drinking water to communities in the area. The EPA designated the area as a Superfund site and tried for nearly a decade to clean up contamination after high levels of lead were found in the blood of local children. After several land cave-ins at heavily mined areas, many residents in Picher and several other towns moved out with assistance from the EPA. 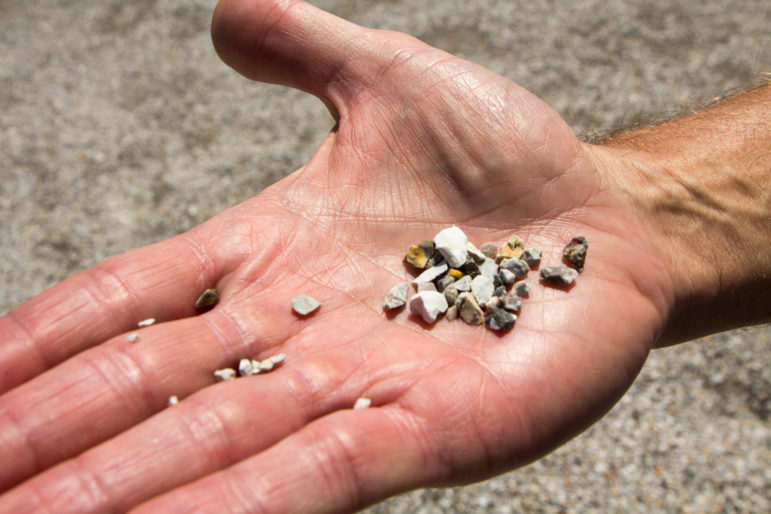 Quapaw tribe Environmental Director Tim Kent holds some of the mining waste that litters the Picher, Okla., area. It contains lead and other heavy metals. The EPA did not respond to multiple requests for comment on Tar Creek. After disasters such as the 1978 Love Canal incident, when toxic waste bubbled up into a residential area in New York state, the dangers of industrial contamination became a national concern. In 1980, Congress passed the Comprehensive Environmental Response, Compensation, and Liability Act, commonly known as the Superfund program, to try to clean up widespread contamination. The Superfund helps pay for cleanup when the companies responsible for the pollution won’t admit fault or can’t afford cleanup. News21 analyzed every Superfund listing and found more than 1,700 proposed, current or former sites where industrial contamination reached ground or surface water. The EPA continues to monitor more than 90 percent of these sites to ensure the health of people and the environment. A 2013 study by the National Research Council attempted to determine the total number of sites in the country with groundwater pollution related to industry. By looking at Superfund and other monitoring programs such as the Resource Conservation and Recovery Act, the report documented a conservative estimate of more than 126,000 sites. “It’s probably higher than that. … 126,000 is a number that is probably low,” said Michael Kavanaugh, one of the study’s authors. A strip-mining site operated by BHP Copper Inc. near Globe, Ariz., contaminated wells nearly 50 years ago. Mining throughout the country has been attributed to a host of environmental issues. Globe, Arizona, began as a copper-mining town more than a century ago. Groundwater pollution in the area dates back to the 1930s, and contaminants like iron, copper and lead were discovered in private wells almost 50 years ago. The Arizona Department of Environmental Quality placed the area on its list of contaminated sites in 1998. Treatment of contaminated groundwater has been ongoing since 1999 and is expected to continue for decades, according to the department. Across the country, in Albany, Georgia, three separate areas of groundwater are polluted with cyanide and chloroform from various industries. One of the contaminated areas came from a landfill on the Marine Corps’ Logistics Base. 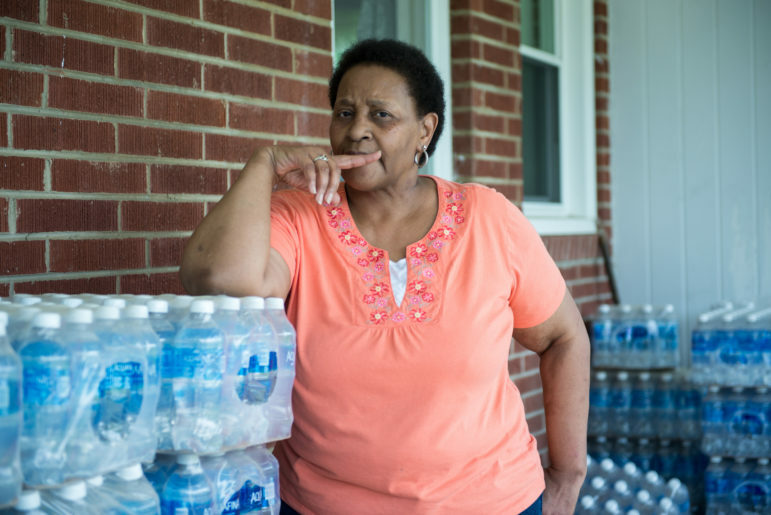 The U.S. Navy has taken responsibility for the base and is providing residents in the majority African-American town with an alternative water supply due to the health risks associated with the pollution. Politicians and researchers say industrial sites are more likely to be located near low-income and minority communities. Robin Saha, a researcher at the University of Montana, co-authored “Which Came First, People or Pollution?” to examine environmental inequality around industrial sites. The 2015 report, published in the science journal Environmental Research Letters, found a pattern of industrial polluters being located in low-income and minority communities across the country. Industries have learned to avoid conflicts with communities that have the resources to resist, Saha said. Linda Jamison lives in Semora, N.C., near Duke Energy’s Roxboro coal-fired plant, one of the largest power plants in the country. She has been using bottled water since contaminants such as Chromium-6 were found in her well. Income and race both play a factor, but the majority of studies show that race tends to be a more important and significant factor of where these polluters decide to establish themselves, Saha said. 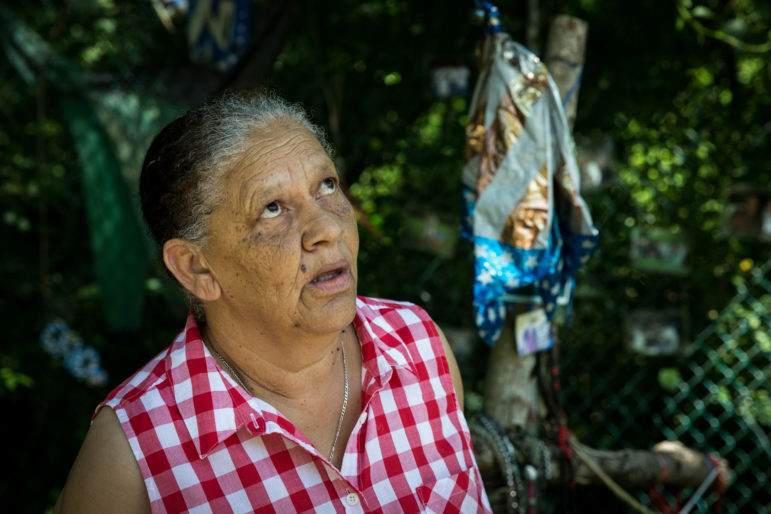 Vivian Milligan lives just feet away from the Ringwood Mines and Landfill Superfund site in Ringwood, N.J. Ford Motor Co. dumped toxic paint sludge nearby, which eventually contaminated the drinking water near her home. The borough of Ringwood, New Jersey, is home to about 12,000 people, including the Turtle Clan of the Ramapough tribe. Nestled in the northern highlands of the state, the borough surrounds the Wanaque Reservoir, a source of drinking water for millions of people. In the 1960s and ’70s, Ford Motor Co. dumped toxic paint sludge into abandoned mine shafts it purchased from the borough. Because of lead and arsenic in the soil and groundwater, the EPA began monitoring the site in 1983. Today, contaminants from the site pose a risk to the nearby reservoir, according to a May 2017 environmental report. ”It’s certainly beholden upon Ford, who is the polluter here, and Andy Hobbs, who is supposedly the director of environmental quality for Ford, to do what they said they’re going to do and clean up this site,” said Bob Spiegel, who runs Edison Wetlands Association. The nonprofit Edison Wetlands Association conducts its own water testing throughout the state as part of its advocacy efforts. It recently found new contaminants in the Ringwood mines, causing additional concerns about the quality of water at the reservoir. “For the first time, they are concerned about 1,4-Dioxane (an industrial solvent) in the water because it’s being found in the surface water that’s entering the Wanaque reservoir and they have no viable way to treat the drinking water for 1,4-Dioxane,” Spiegel said. Bob Spiegel and Shannon Lisa of the Edison Wetlands Association test the waters coming from the Ringwood Mines and Landfill Superfund site in New Jersey. They are worried toxic chemicals may reach a reservoir serving millions of people. While illegal dumping can occur, the EPA monitors most industrial chemical releases into water sources through a permitting program. Between 2011 and 2015, companies dumped more than 14 billion pounds over permitted limits, according to a News21 analysis. Numbers are based on a calculation the EPA uses to compare the harmfulness of each chemical released. Dioxins, byproducts of incineration, are among the most released chemicals. They are known carcinogens, and exposure has been linked to health effects such as heart disease, diabetes and reproductive issues. Almost every living creature on Earth has been exposed to dioxins, according to the National Institutes of Health. Chemical companies released the most contaminants of all industries, according to EPA documents. Utilities, plastics and rubber manufacturers, mining companies, and petroleum and coal producers round out the top five. The now-defunct Diamond Alkali Co. in Newark, New Jersey, manufactured chemicals including those used to make Agent Orange. EPA investigations found that the chemicals produced at the company polluted the Passaic River, a drinking water source for millions of New Jersey residents. The Ohio River borders six states and provides drinking water to nearly 3 million people. Since 1987, various industries have dumped about 600 million pounds of toxic substances, including ammonia and nitrates into the river, according to EPA data. Most people in the U.S. get their drinking water from surface water, including rivers and lakes, that is treated by public water systems before it’s used. However, 15 percent of Americans consume untreated groundwater from private wells, according to the U.S. Geological Survey. Because there is no EPA oversight of private wells, it’s possible for contaminants to leak into well water without the homeowners’ knowledge. Chemicals like arsenic and boron were found in private wells in the town of Pines, Indiana, after coal ash from a nearby Northern Indiana Public Service Corp. (NIPSCO) coal-fired power plant polluted groundwater. Cathi Murray, president of a local advocacy group, said some residents were hooked up to municipal water after the contamination was discovered, but others were not. NIPSCO has been providing bottled water to residents since 2001, according to Murray. Coal ash, a byproduct of coal burning, is often stored in large pits in the ground called impoundments. According to the EPA, more than 1,000 of these impoundments can be found in communities across the country. In North Carolina, the state department of environmental quality sent letters in 2015 to residents living near coal-fired power plants telling them their private well water had high levels of contaminants such as chromium-6 and was unsafe to use for drinking or cooking. More than 900 of these households have been relying on bottled water for more than two years. Residents were later told their water was safe to drink based on the state standard for total chromium, but many still are unconvinced. Neither the state nor the EPA sets specific standards for chromium-6, but it is known to cause cancer, according to the National Institutes of Health. From 2013 to 2015, the EPA reported more than 234 million people had higher levels of the chemical in their water than the agency recommends. Baker and her husband, Jack, moved into their home near a Duke Energy steam station 21 years ago. She believes the water contamination is coming from coal ash buried near the power plant, though Debra Watts, from the North Carolina Division of Water Resources, said they are still working to determine the source of the chemicals. Duke Energy has been providing bottled water to residents living near its power plants for over two years, but company spokeswoman Paige Sheehan said the contaminants are not coming from coal ash. After a string of hospitalizations for respiratory-related illnesses, Baker’s husband, Jack, was diagnosed with a lung disease that doctors said could have been caused by his environment. He died in June 2008. Now, Baker wakes up alone, walks to the kitchen, and grabs a bottle of Dasani from one of the many cases stacked around her home to make her coffee. Her husband’s death prompted Baker to become an activist. She said she wants Duke to dispose of its waste properly, but she still understands the value the utility company provides. Researcher Robin Saha said the benefits industries provide like jobs and economic growth are important, but communities may not be aware of the tradeoffs they are making. “Many of these types of facilities should not be located where there’s a lot of people: near schools, near hospitals, near nursing homes, where there’s elderly and more often than not, they are,” Saha said. Industries will develop where there is a “path of least resistance,” Saha said, but it’s up to community members to work together to dictate what kind of companies set up shop in their neighborhood. News21 reporters Claire Caulfield and Bryan Anderson contributed to this report. For the complete “Troubled Water” project, visit troubledwater.news21.com.